In accomplishing a Canberra house painting task, to choose the right colours can be tedious and daunting all at the same time. The exterior paint of your house would generally depend on the colours of the immediate environment that surrounds it. But of course, you can still choose the colours that you personally prefer for as long as they are elegant and appropriate. Nevertheless, the only secret in Canberra house painting if you are really unsure of what colours to choose, you can always settle for the classic white. This is considered as the universal colour to be used for most house painting projects. For the interior paint colours, the choice of hues are selected differently. A lot of homeowners get stressed when it comes to choosing the right interior paint colours for their homes. To make the task less troubling, you can pick a certain household item like a pillow, a bed cover, a window curtain and others. Look carefully at its colour and think for yourself if you want your room to have the same colour of some of these. You can also just choose a darker or a lighter shade of the colour of these items. There are lots of websites that you can visit who you can run to for some assistance, too. There are also some Canberra painters who offer colour consultancies with a professional interior designer. This type of service will ensure you get a colour scheme for your interior or exterior painting project that will truly satisfy. You may also choose to pick up paint sample cards from local shops featuring various paint colours in similar hues. You can put these cards close to your wall and compare it with the rest of the items in your home to get a greater sense of the colour and how it will look with the rest of your decor. For exterior paints, you should always consider purchasing a top of the line paint. Remember that your rooms won’t be exposed to external factors that might easily cause damage to the paint, but the exterior of your house will. Choose an exterior paint that is known for being durable and providing long lasting protection. 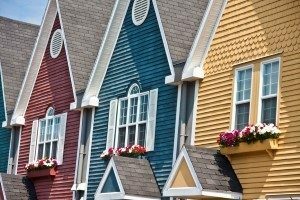 With regards to exterior paint, you should make sure that you get what you paid for. If you are still unsure of the colour or type of paint to purchase, seek the guidance of expert paint retailers and the actual Canberra painters you choose to hire for your project. With their experience in the field, you can be sure that they can give you Canberra house painting advice that is truly reliable.